Battery life could be a key difference maker for the iPhone SE, as the smaller handset has been shown to last far longer than more expensive phones —including the iPhone 6s. Under stress tests cycling through websites with uniform brightness, the SE managed 10 hours, according to the Wall Street Journal. That was over two hours better than the iPhone 6s, as well as the iPhone 5s, which like the SE has a 4-inch, 1,136-by-640 display. Screen-on time is often the biggest source of battery drain on a smartphone, with wireless connections being close competition. The SE achieved nearly a three-hour lead over the Galaxy S7, Samsung's latest flagship smartphone, which does however have a 5.1-inch Quad HD (2,560-by-1,440) display. The more comparable iPhone 6s has a 4.7-inch 1,334-by-750-pixel panel. The Journal noted that the SE's screen is inferior to the 6s not just in terms of size but also contrast, and a lack of 3D Touch support. 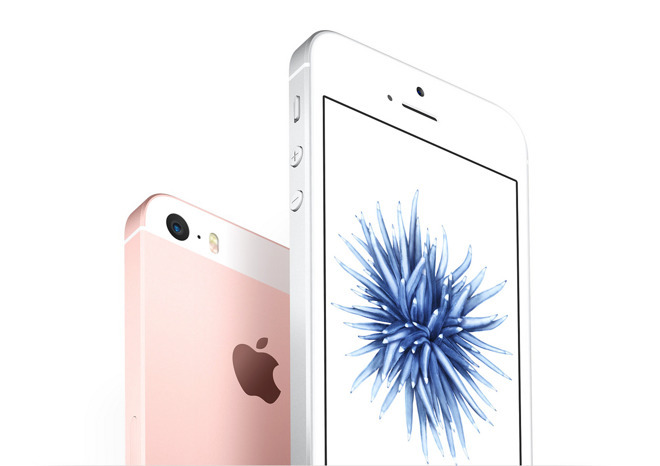 Preorders for the iPhone SE went live earlier today. The device will initially be available in 13 markets, but come to another 47 next month. Price is the main selling point of the device, which —starting at $399 —is $250 less than the iPhone 6s, while still having the same A9 processor, 12-megapixel rear camera, and Apple Pay support.